Derrick Henry did much, much more last night against the Jaguars than run 99 yards, impale All-Pro corner A.J. Bouye with a halberd of a stiff arm, shrug Leon Jacobs off like a bathrobe, and then gas half the Jags’ defense, but since he did all that and more on his way to the NFL’s second-ever 99-yard rushing touchdown, just watch it now if you haven’t already. It’s perfectly Lynchesque. Now, of course, last night’s game had its share of comically inept football, as every seemingly annual Titans-Jaguars matchup on Thursday Night Football does. 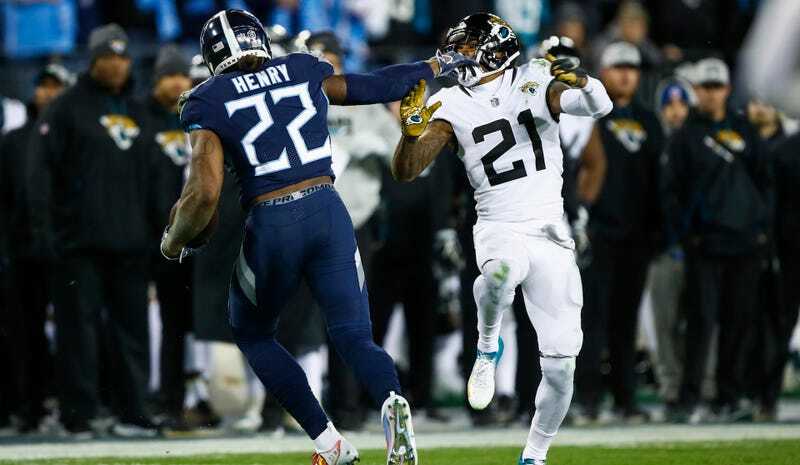 Henry’s perfect moment was set up by Titans rookie Cameron Batson fumbling a punt then allowing the Jags to tackle him in his end zone, before Jacksonville then staged an agonizing 14-play drive that lasted over eight minutes yet somehow only moved 55 yards. One successful fourth-down conversion was succeeded by a failed one, setting the stage for Henry to redeem all that garbage play. He finished the game with four touchdowns and a franchise-record 238 yards on only 17 carries. 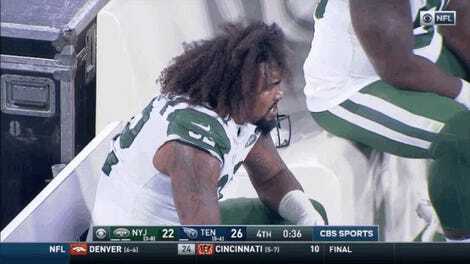 Accounting for the Titans’ four sacks, Henry had 17 fewer yards than the entire Jaguars offense. He also outrushed Leonard Fournette by 202 yards. In addition to his 99-yarder—only the second in NFL history after Tony Dorsett’s in 1983—Henry popped off for touchdown runs of 54, 16, and four yards. Before the game, Henry’s longest run of the season was only 16 yards, and as that stat and his 6-foot-3, 247-pound frame might illustrate, he’s not a player known for his speed. However, he went 21.74 MPH on his 54-yard run, the eighth fastest by the ball carrier on any play this season according to NFL Next Gen Stats. 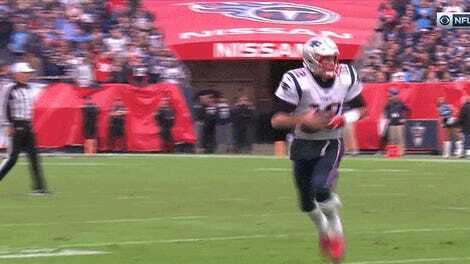 The Jags clearly bungled it, but look how he gets the edge and just flies. You have to go back to the days when true franchise running backs like Ricky Williams and Priest Holmes were ruling the NFL in order to find a performance comparable to Henry’s. Those guys played in another age, before running backs were devalued and thrown into time shares and asked to do as much receiving as they do running. 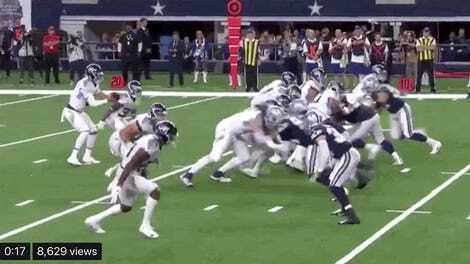 Seeing a giant like Henry rumble for 238 yards is one of the least likely things to happen in today’s NFL, and that’s what made last night’s game all the sweeter. It was a true throwback performance. Does this get any better? Reader, you better believe it does.